Just wanted to say “have a lovely weekend!” I mean, really enjoy it. Savour each moment. Whether you’re up early or planning to lay in. Spending time with the family or praying that God will use you to change lives. Enjoy it and be present. 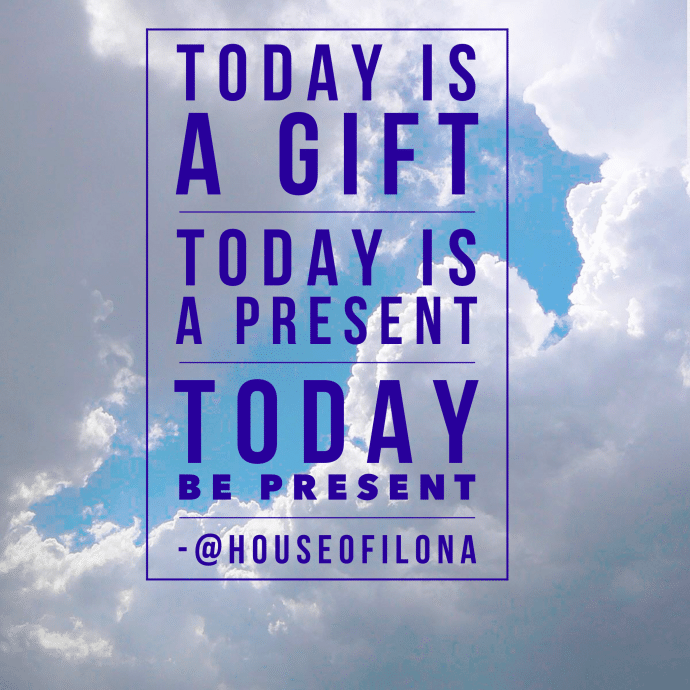 Today is a gift (that’s why it’s called the present). As we go through life it’s so easy to push, push, push and plan our lives away and never just embrace the moment, the present. Slow down, unwrap and enjoy your today. Be present. Savour the moments and… enjoy your Present. This entry was posted in Blog and tagged @houseofilona, enjoying your present.